A decade ago, Jennifer Scism was running a Michelin-starred restaurant in New York. 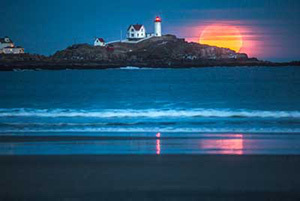 But along the way she married a Mainer, got tired of the grind, moved to York, and started backpacking. For overnight eats, husband David Koorits’s specialty was Annie’s mac ‘n’ cheese with tuna. “I was like, wait, I’m a chef,” Scism recalls. “I can do better.” In 2014, she and Koorits started Good To-Go. Now, their Kittery-based company makes up to 80,000 dehydrated meals a month, sold everywhere from local groceries to REI. East Coast hikers, Scism notes, have more traditional tastes — chili, say — than West Coasters — bibimbap. Except for the chicken gumbo, dishes are vegetarian. 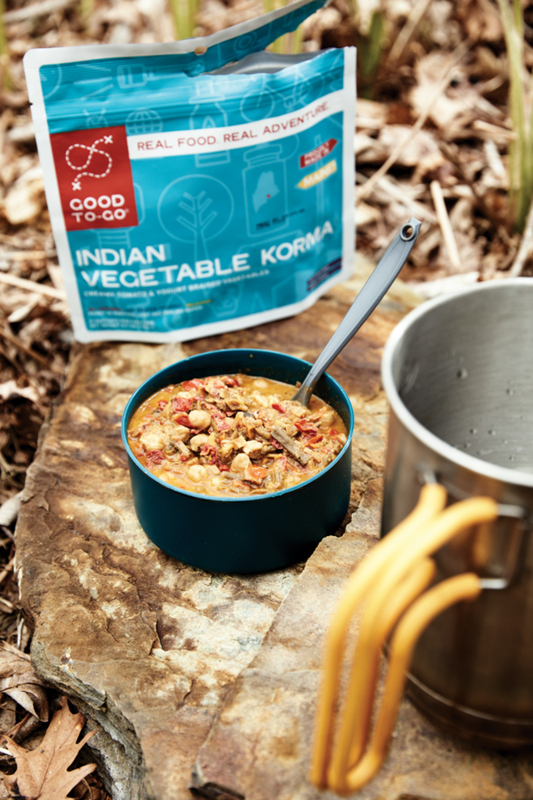 Indian korma, for instance, has carrots, parsnips, green beans, and chickpeas in gently spiced tomato-yogurt sauce — a taste of the subcontinent for a North Woods trek.